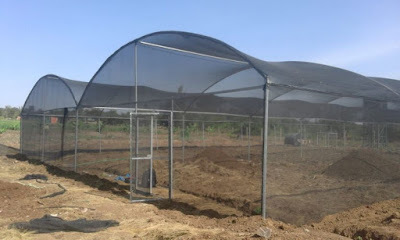 Greenhouse agri-technology company that construct durable and customised metallic and wooden frame greenhouse kits, shade houses, drip irrigation , accesories, agronomy, soil testing e.t.c. 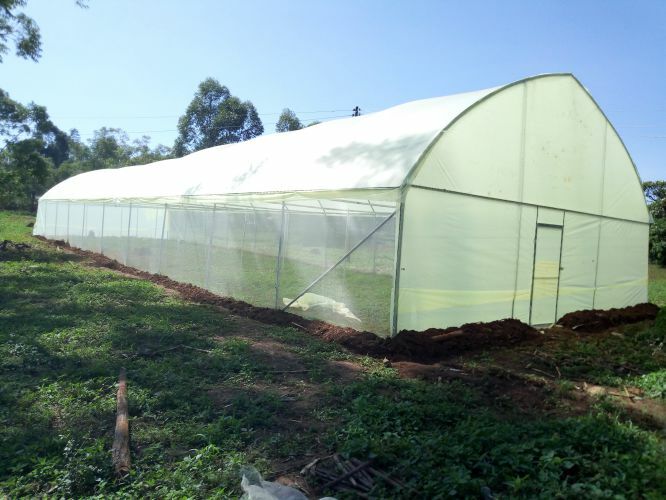 We believe in creating profit through modern technology in Kenya..
Our affordable metallic or wooden framed greenhouses are designed to give maximum yield and are coustomized according to differnt climates. We have different shade houses that are designed for hot climate in Kenya. The shade houses comes in different sizes and are made of stong frames . Drip irigation help in minimisesing water usage, increase yield, ensure plants have uniformity and ensure quality. our drip kit is flexible and durable. We have experts in the crop protection and production field both in greenhouse and open field farming in Horticulture production across Kenya. 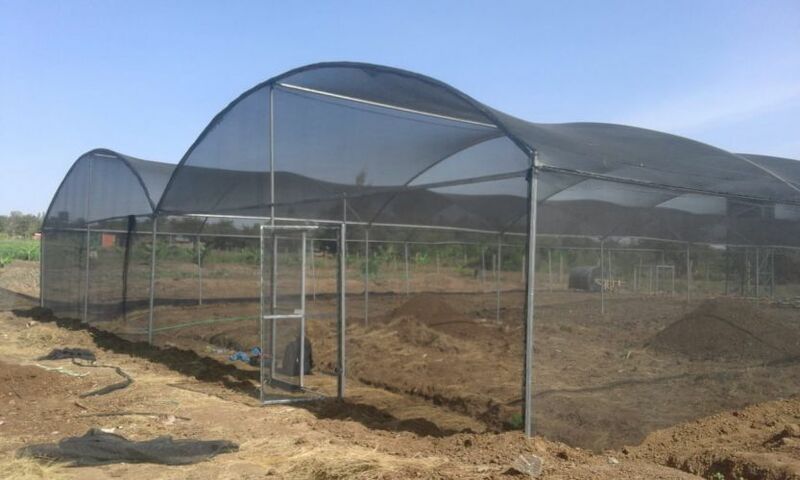 As one of the leading companies in shade houses and greenhouse kit supply and construction company, our metallic and wooden greenhouses have been voted one of the best in Africa for small scale farmers and investors. Our greenhouses are durable and guarantee good micro climate for different climates as the greenhouses are tailor made in consideration of different climatic factor like in hot temperature areas we do our metallic or wooden greenhouses with more ventilation, in colder region we do with curtains to allow retention of heat and co2 gases that are beneficiary to plant photosynthesis. We also consider wind direction and speed which always have big effect on greenhouse destruction by removing the top poly-film cover, We remedy this by fastening our greenhouse polythene with pegs or w-wire. We also use fastening ropes on top of the greenhouse cover to avoid flapping of the poly film after some period, this ensure stability and durability of the greenhouse. When a farmers is ready for the greenhouse , Upon inquiry on the greenhouse prices and size we then visit the farm to know, the exact location which helps us in planning our transport, availability of reliable water and the water source in relation to where the greenhouse is to be located. We check also the farm plant history to establish the families of plants grown previously and any other activity that might affect our greenhouse plants, wind breakers like trees, Security among others. During the survey we also sample the greenhouse area for soil and water to be tested in the lab for nutrients and pathogenic analysis. We have different greenhouses/ shade houses in sizes / packages and pricing. We also have different greenhouse accessories like polythene, insect net, drip tapes, drip fittings( elbows, filters, connectors, Main pipes (PE), Profiles and w-wires, tapping screws, Shade nets, Low Density Poly Ethylene (Ldpe) Dam liners of 1 mm,0.5 mm, 0.3 mm, Mulching film 0.3 mm. and metallic greenhouse frames. (arches). We also do arch bending. Once the payment process has done in our bank account or mobile transfer we move to the preparation of the greenhouse for delivery which takes 48 hours depending on the size of the project and farmers/client requirement for delivery. For other accessories like polythene, drip fitting, insect nets, Dam liners e.t.c takes between 12 hours - 24 hours delivery period after payment using courier . For greenhouses/shade house/dam liners installation and construction takes a period between 2-7 days depending on the sizes and scope of work (Greenhouse construction, Drip irrigation installation, Crop support, Tank stand installation). We have qualified technician with 8-10 years experience whom are task with installing and constructing successful projects in east and central Africa this includes Kenya, Uganda, Tanzania, Rwanda and Somalia. 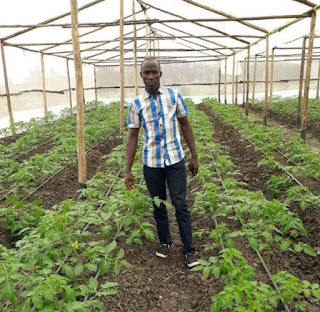 Once the greenhouse, shade house , liners or open field drip irrigation has been set up we train our farmers or client on the operations of the greenhouses, Drip irrigation operations and cultural practices indicated below. Nursery preparation and seeding: We use certified hybrid seeds for quantity and quality yields. Bed preparation: Incase of un infected soil, we train our farmers on ground bed preparation. Cultural activities: this includes: Transplanting,watering, top dressing, weeding, De-suckering, Defoliation, Layering, spraying and marketing of the produce. Hortitechno produce and services guarantees you durable and profitable venture in greenhouse farming and horticulture consultancy. 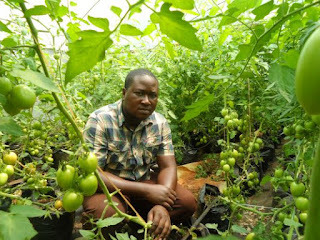 Soil science helps us understand its aspect be it biological, physical or chemical composition in relation to plants or vegetable production in greenhouses and open field farming. We at hortitechno produce and services ensures that we test and understand the soil before we do any work. We do soil testing to understand the microbes living in the soil, we do have helpful and harmful . The solanaceae family that we have tomato, capsicum, egg plant , Managu e.t.c is affected by a bacteria causing wilting. When we do testing of the soil and finds this bacteria its advisable for farmer to do soil sterilization to kill the bacteria and pot the sterilized soil to prevent contamination. Soil sterilization using steaming is the most reliable way since wee retain the chemical composition and the physical structure of the soil. This is done by using heated water steam that is directed in air tight covered soil and it takes eight hours to be fully sterilized. Soil frying is also another common way people use in sterilization, it also does kill the pathogen the only dis advantage it has is change of chemical and physical properties of the soil . the methodology is done by putting soils in pan and placing the pan on heat, during heating the soil is mix over and over for uniform distribution of heat. Chemicals are also used to do soil sterilization mostly in flower farms, for vegetables and fruits we tend to discourage this method. When not done properly it can leave residue on the final product. All this methods work and the best is soil steaming, at greenhouse Kenya we always make sure you plant on good soil. You need to have a farm to do your greenhouse and any farming in Kenya. You can acquire land through buying or leasing . The land must have good soil and good gradient to allow smooth flow or drainage of rain water. If the land is rocky we advice client's to import soil. Good farming require clean and adequate water that is reliable during the growth of the plants to harvesting. Good water must also be with the right pH for greenhouse plants to thrive however in cases where the water is alkaline or acidic we advise the farmers on the way to improve to allow good environment for greenhouse vegetables to grow. Security of the farm is important to protect the greenhouse and other farm properties through damage caused by animals like cow and theft. Greenhouse farmers are advised to have a fence around the greenhouse to keep it safe from human and animal damage. Greenhouse also can be build in the compound where people live this ensures security and also allow access easily. 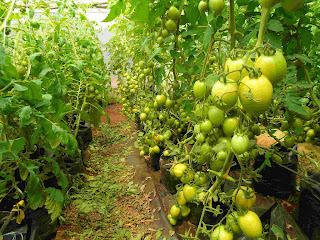 Greenhouse tomatoes variety in Kenyan market are bred to have a long shelf life after harvesting and are also vigorous in growth. Tomatoes can take up to 21 days from breaker before they go bad. This gives the farmer ample time to look for the market. The quality and enhanced taste of greenhouse grown vegetables gives a farmer good edge in competitive advantage over open field farms. What affect the market for greenhouse vegetables is pricing due to influx of open grown vegetables in the same market. Organized market like supermarket and institution gives a steady price despite the influx in prices. 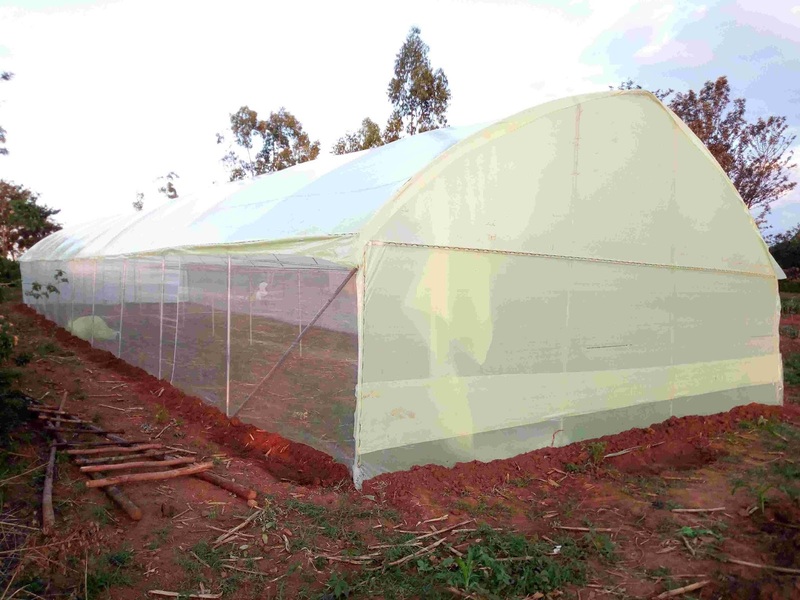 Weather conditions affect the type of greenhouse installed in Kenya. In cold area like larger central province and rift valley we do greenhouse with limited ventilation. In hot climate we increase ventilation and construct tall greenhouses to aid ventilation. Our greenhouse are strong and can with stand wind speed of up to 120km / hour. We always consider wind and sun to guide us in Green house orientation in Kenya. a farmer should ensures he has a farm hand who will take care of the plants and watering in the greenhouse. However apart from watering the farm hand does greenhouse preparation like digging , adding manure and in case of sterilization he need to do the bagging and changing of the soil in the bags. The other activities once trained he should know spraying and mixing the chemicals in the right quantity or ratio. The chemicals are insecticides , fungicides, fertilizers and hormones. 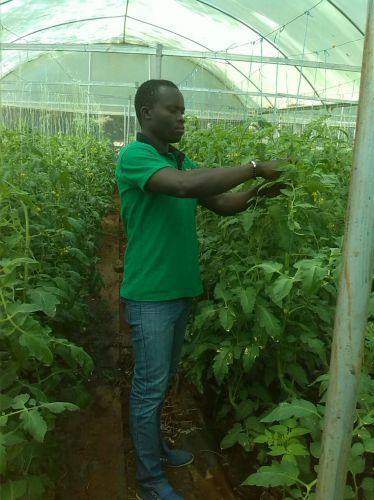 We as one of the greenhouse companies in Kenya we ensure quality in training we also give a guidance manual or hand book for vegetable production. 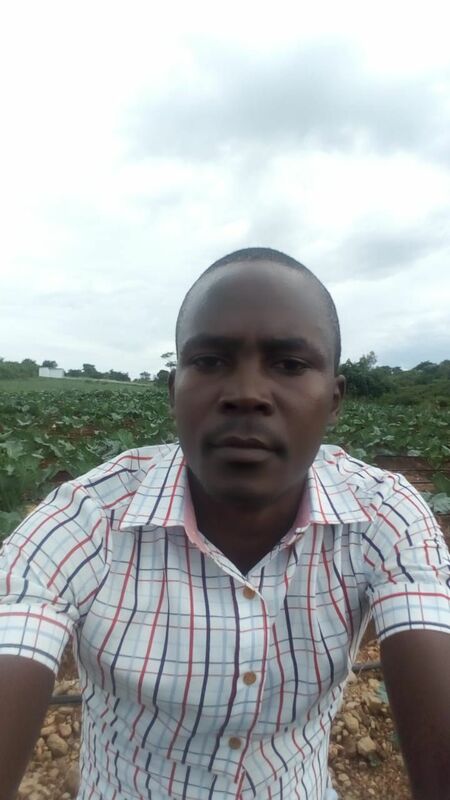 Good agronomy advice on the use of quality manure for our farms states that the best manure for greenhouse farming is goat manure, cow dung and well decomposed chicken manure. Greenhouse farming when added the above manure they improve fertility content of the soil through injection of nitrogen and other trace element like magnesium that are good for plant growth. Nitrogen is good for promoting vegetative part and increase growth vigor, its advised to have quality manure in the greenhouse to promote growth of strong plants.